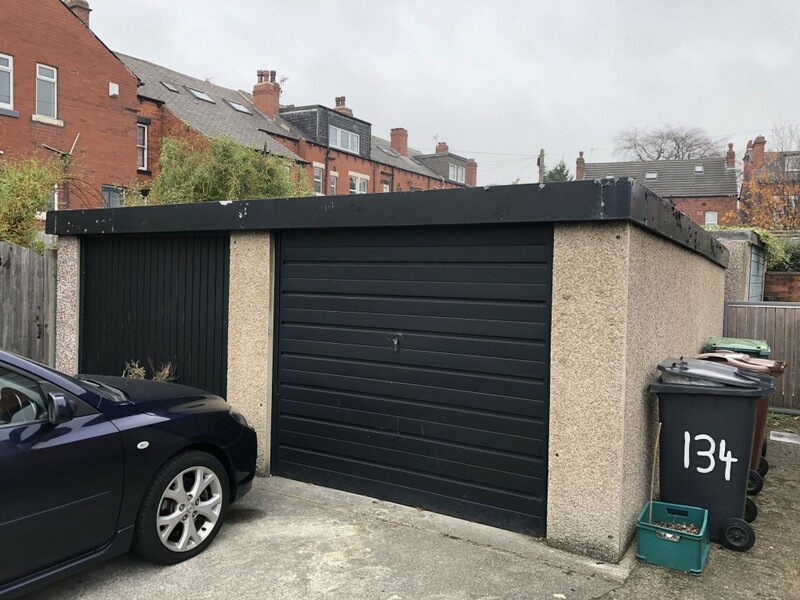 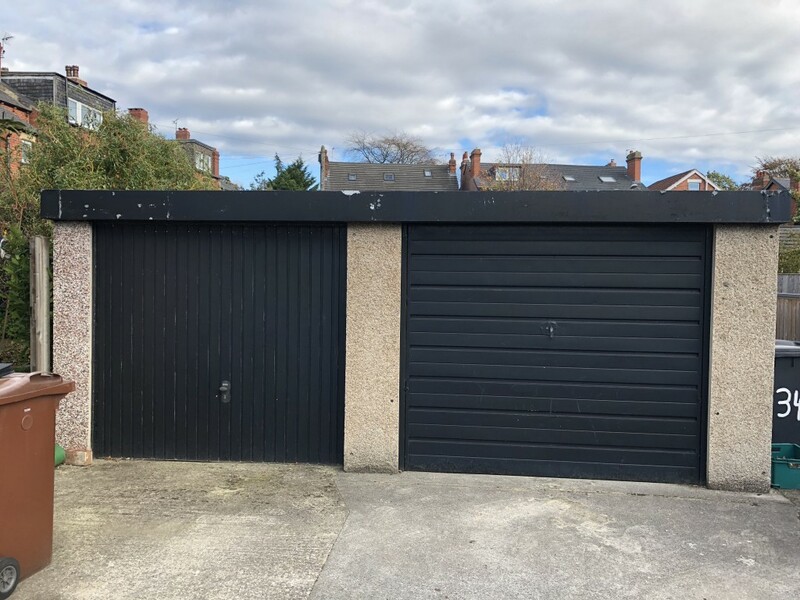 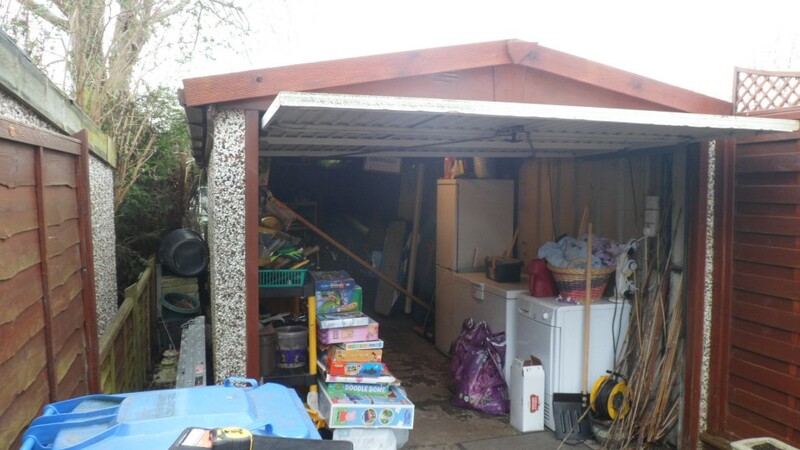 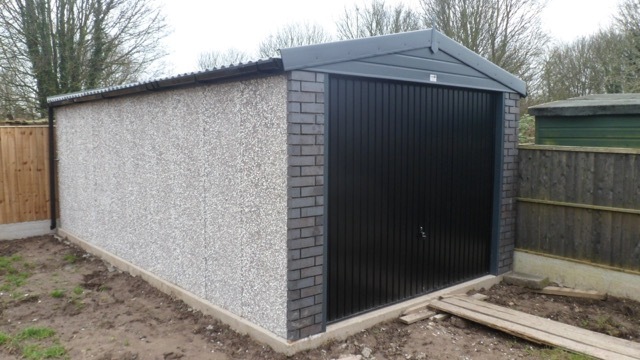 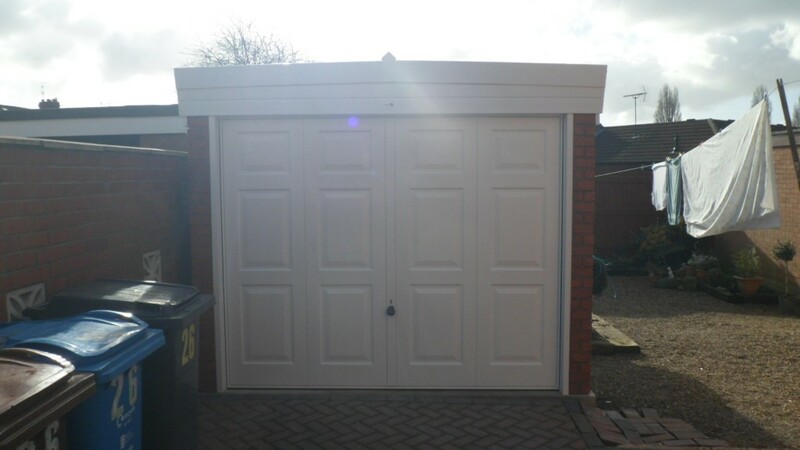 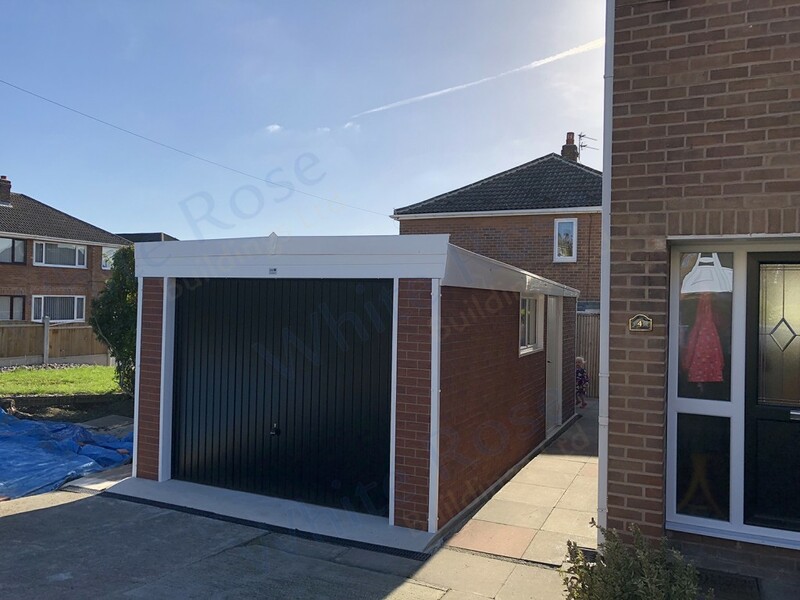 We recently undertook a project to supply a Customer in Wakefield with a Lean to sectional garage. 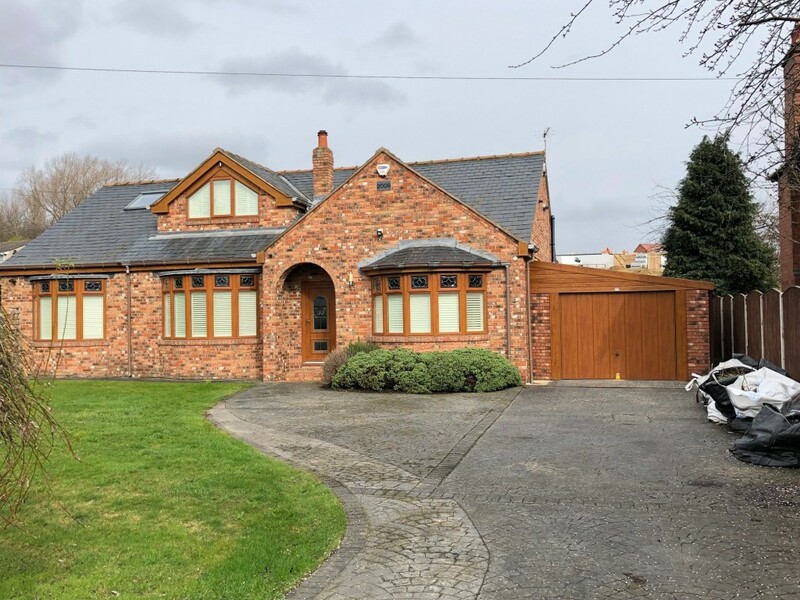 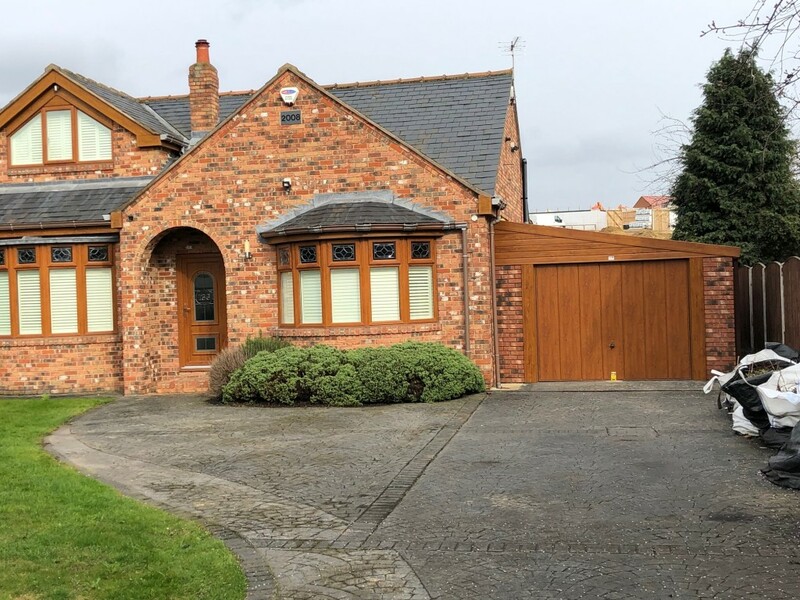 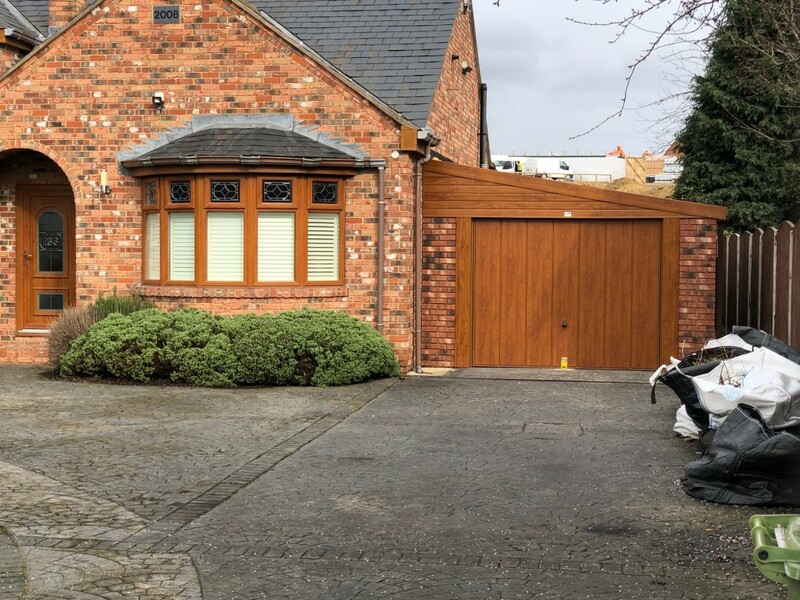 We used the Golden Oak Woodgrain Fascias and Garage door to match the customers door and windows and we also added Cedar Buff Brick fronts to give an authentic Brick built extension appearance. 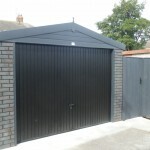 This project was a straight forward new build. 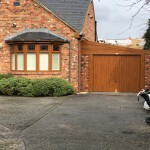 The customer had an existing block paved drive which we added a new concrete base to. 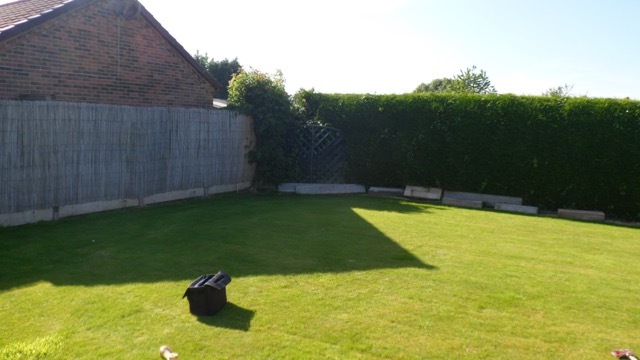 As the garden sloped slightly to the rear, we built the base thicker to allow the slab to be laid level. 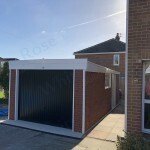 The new Pent Royale was supplied and fitted. 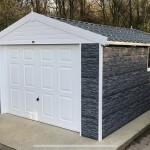 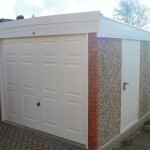 The garage was supplied with all the extras that come as standard on this building. 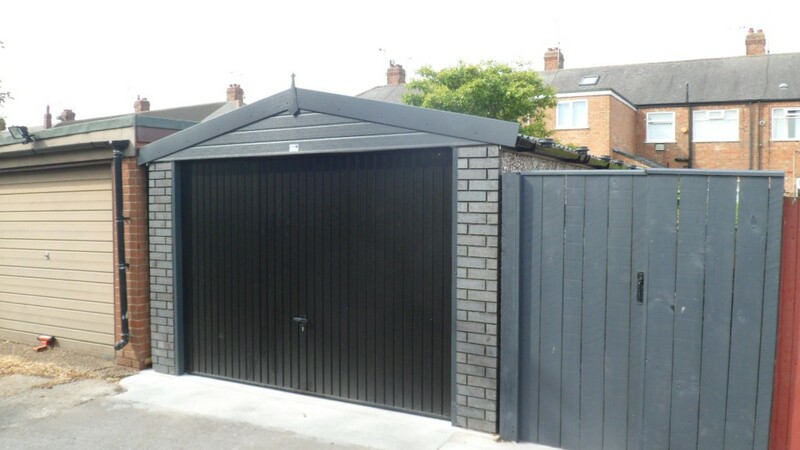 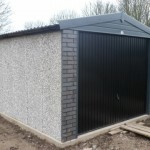 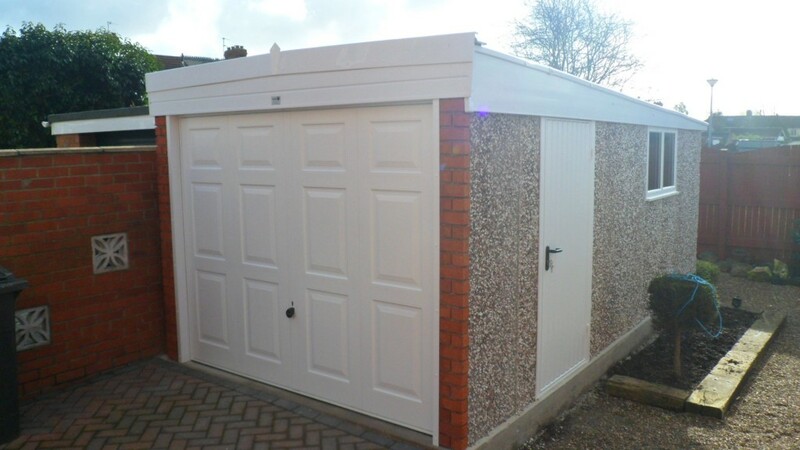 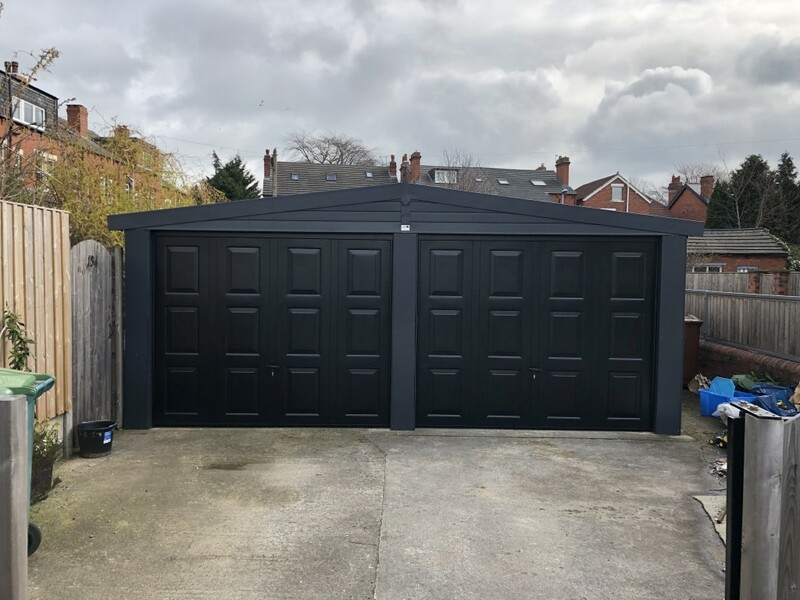 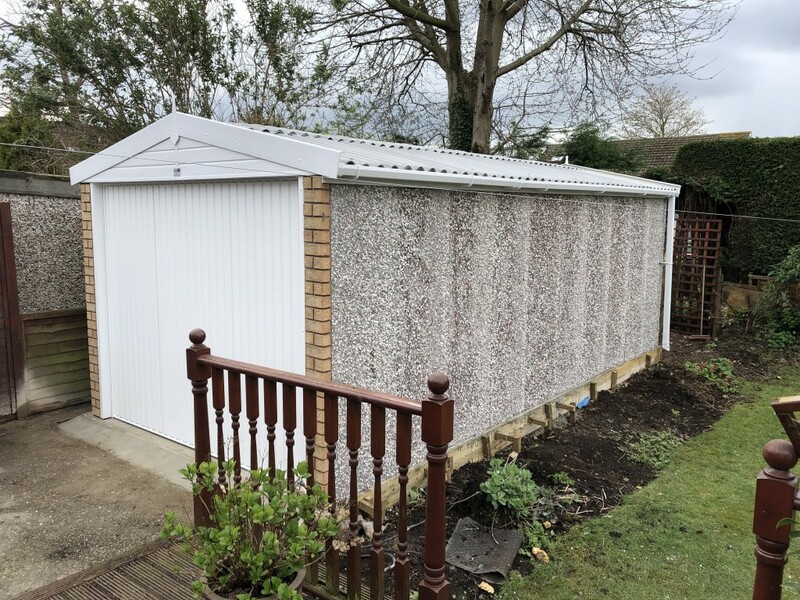 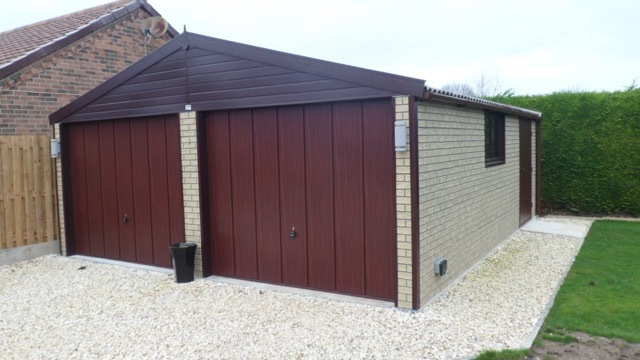 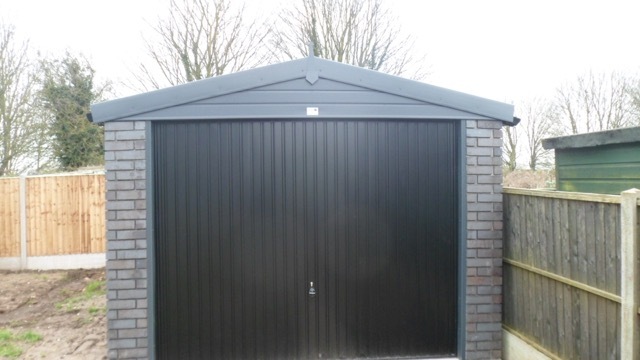 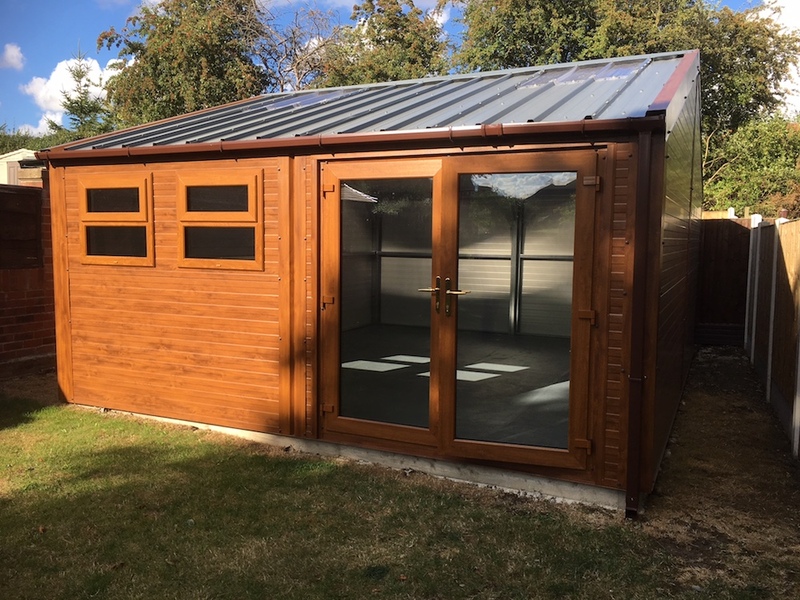 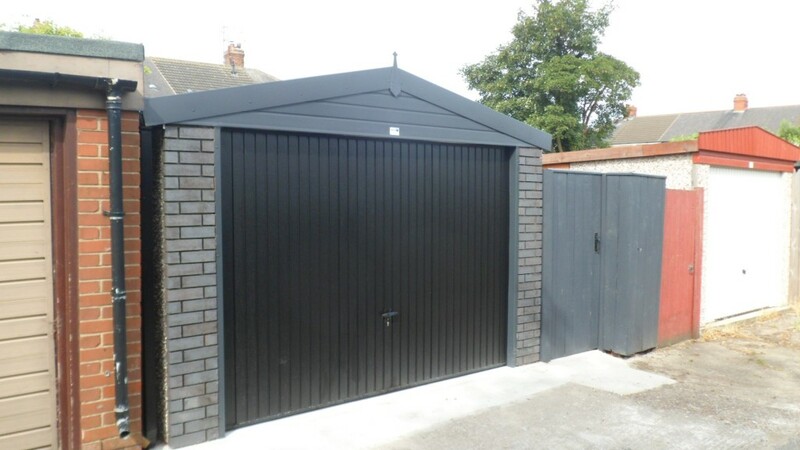 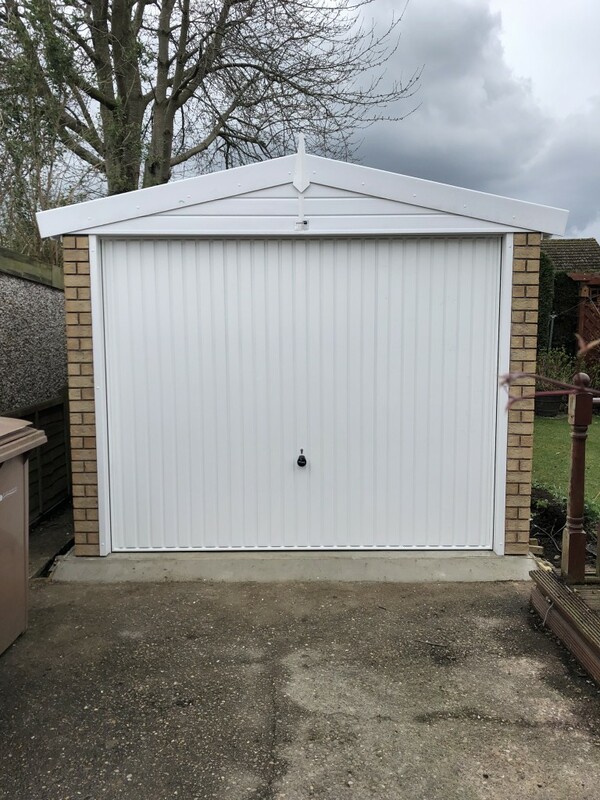 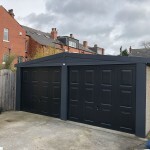 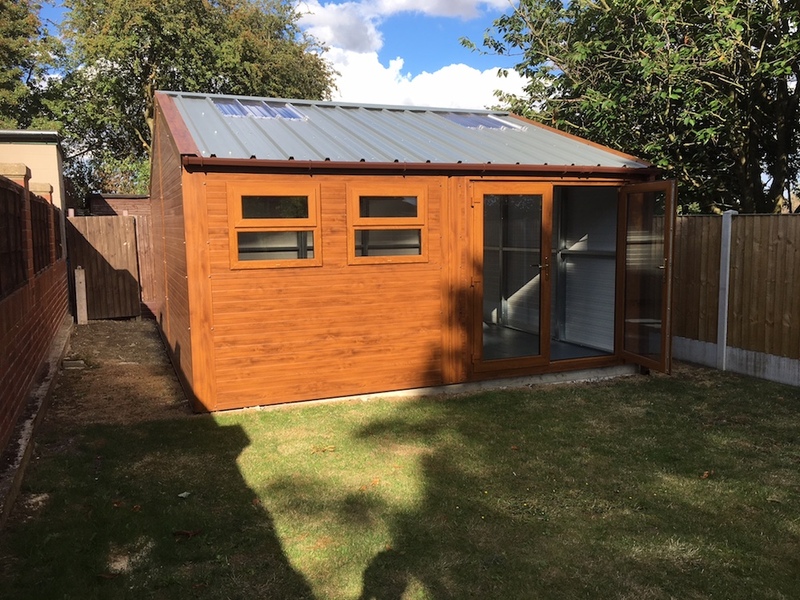 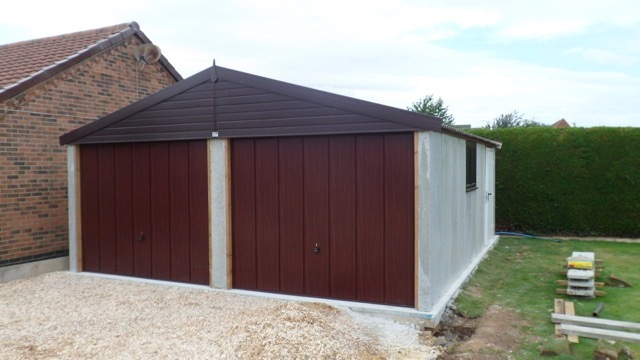 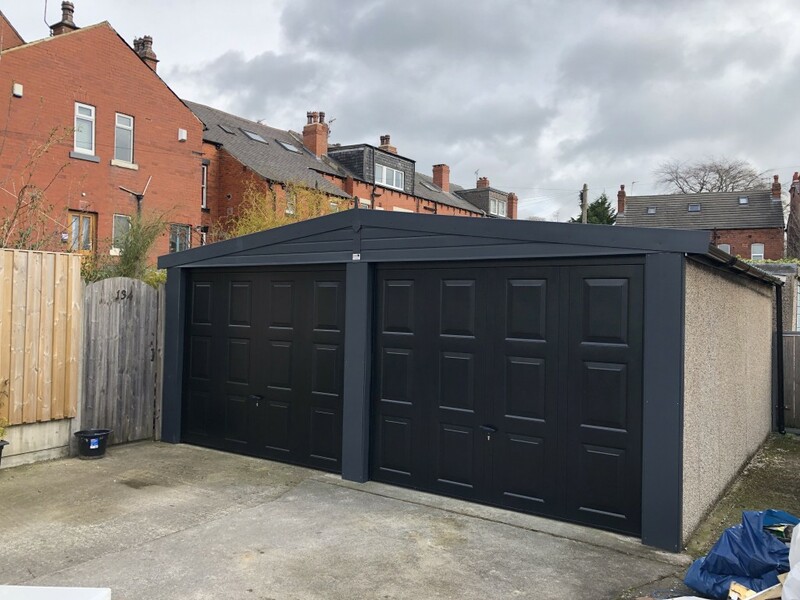 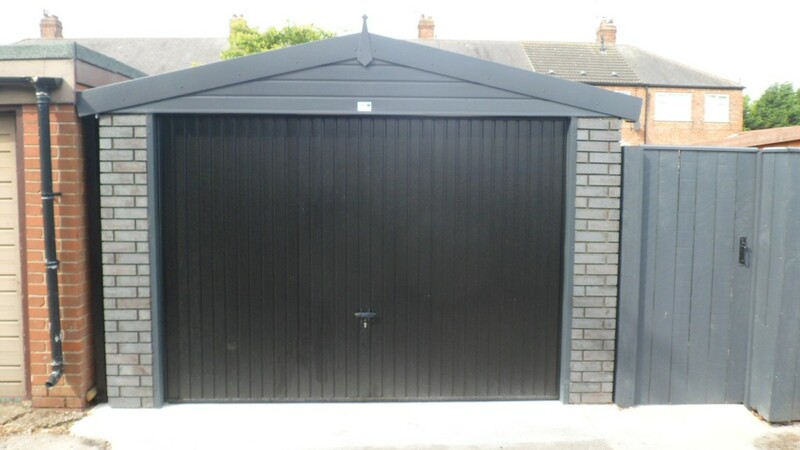 The apex graphite garage was supplied and fitted as the first part of the customers garden renovation. 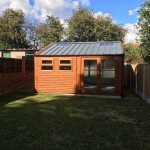 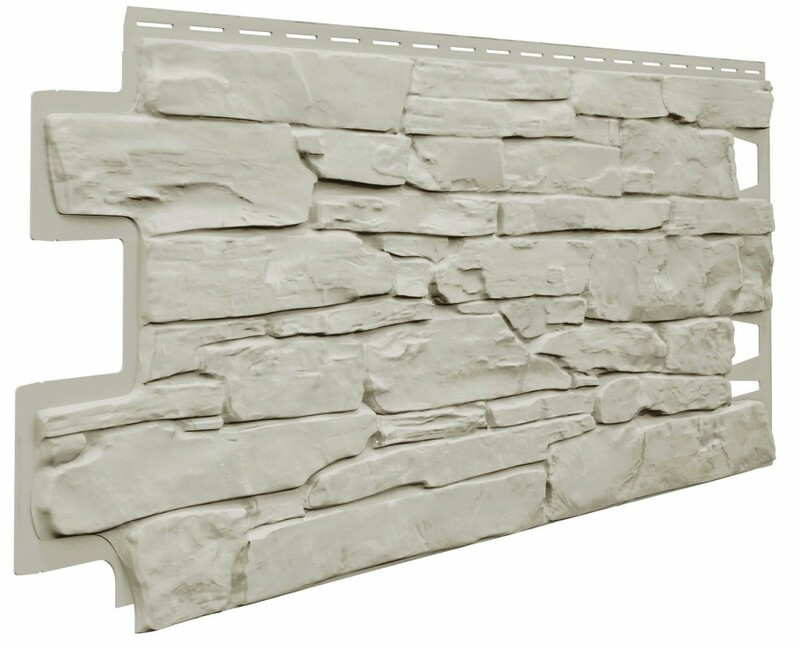 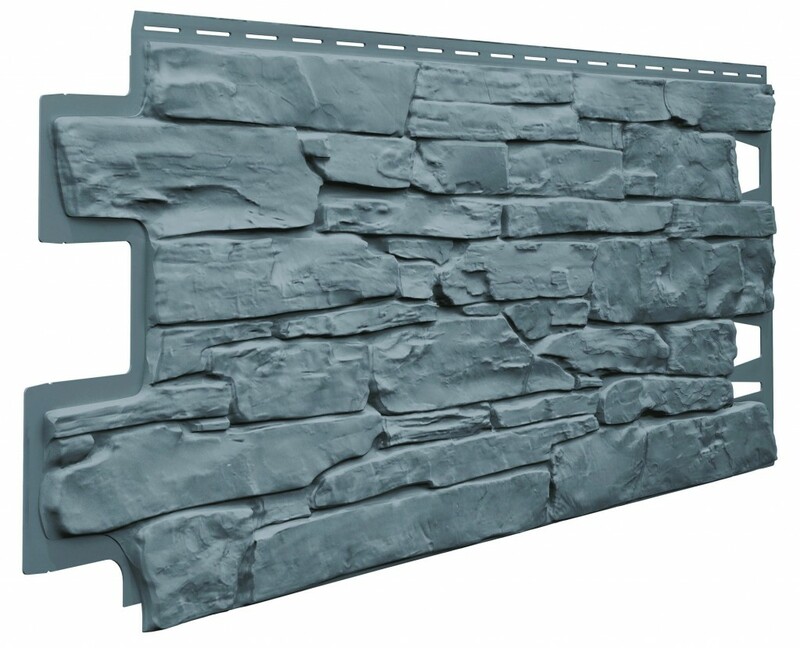 This model is very popular due to its modern appearance. 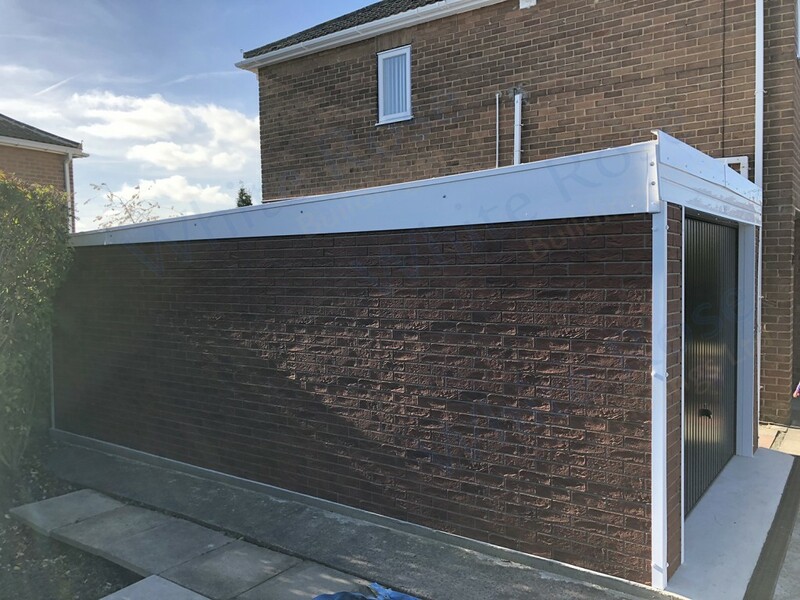 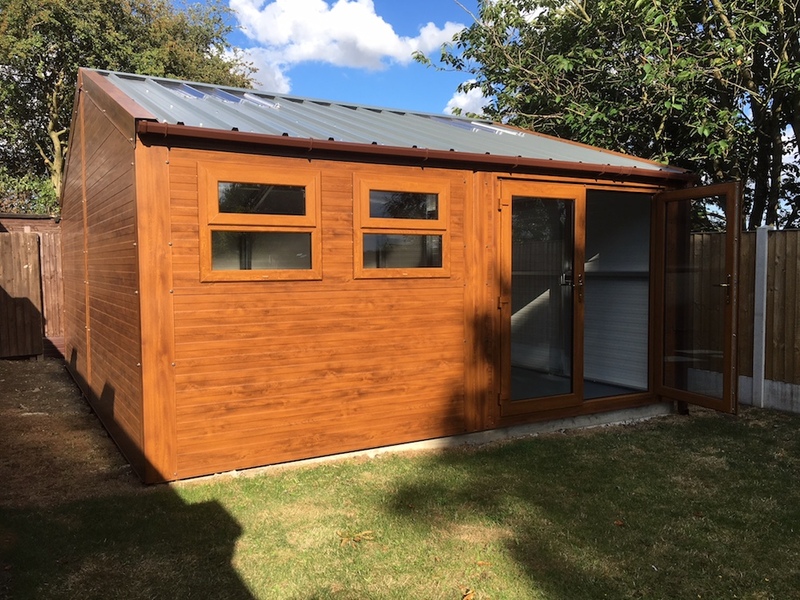 This particular building was supplied without the personnel door and window – the customer can specify exactly what he wants on all of our buildings. 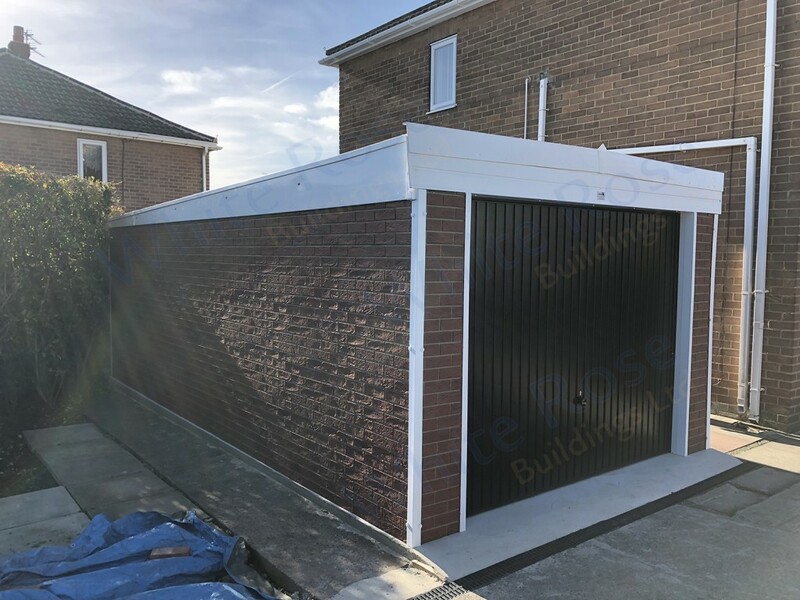 In this project we removed an old brick garage and landscaped the area ready for the new building. 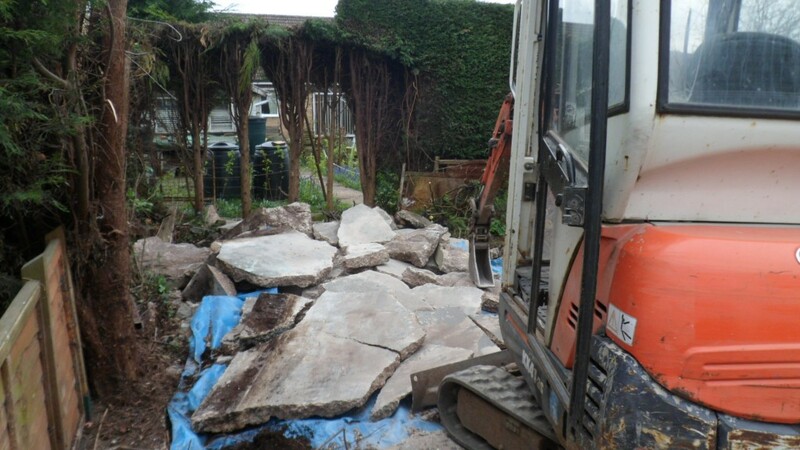 The work involved removing the existing slab, a couple of large tree stumps, fencing, laying a chipped driveway and path edgings and the concrete base for the new double garage. 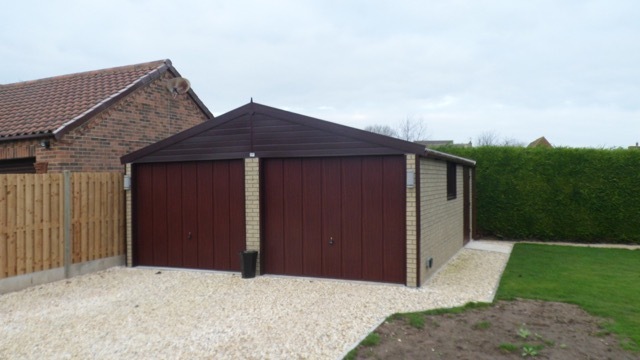 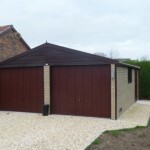 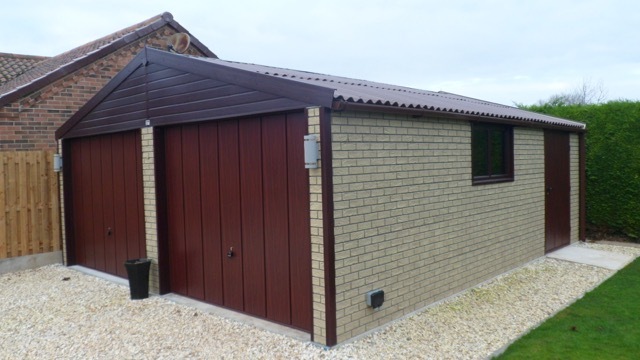 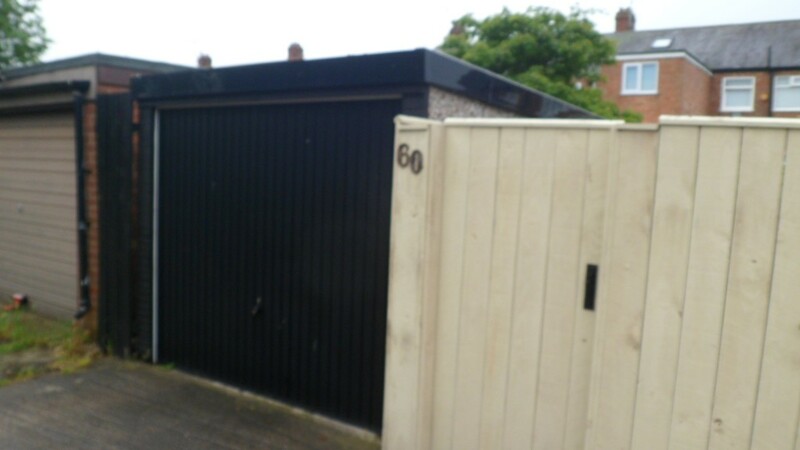 The garage was then fitted, completed with the brick effect to match the existing house. 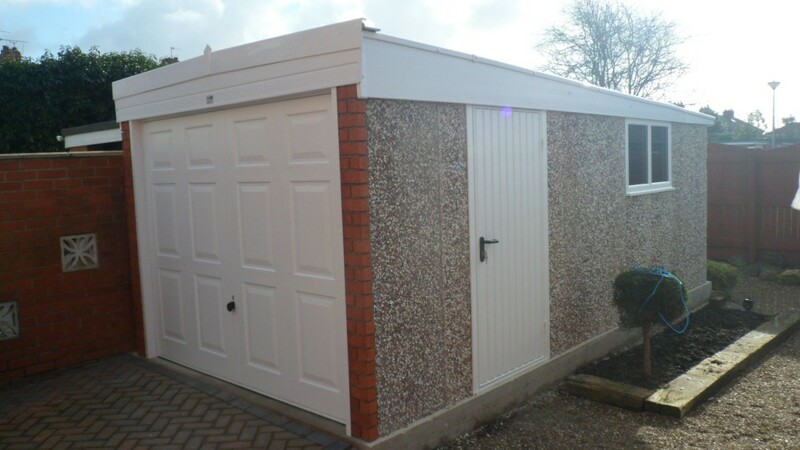 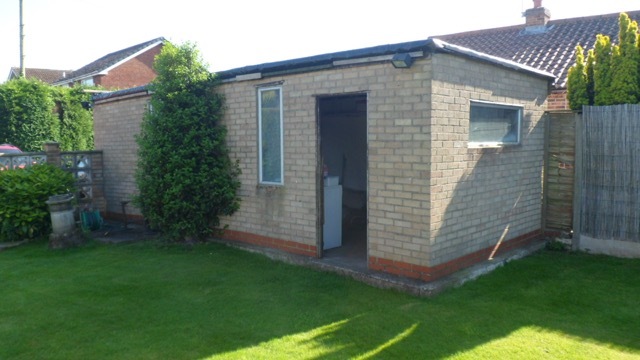 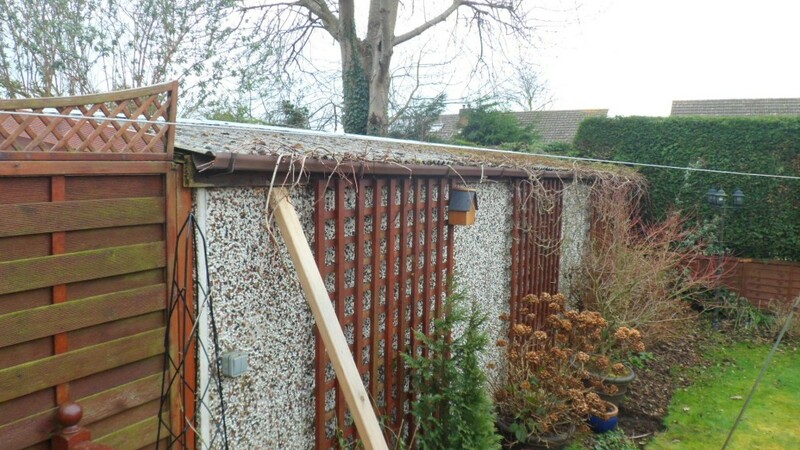 This project saw White Rose Buildings take down the existing tired asbestos garage and replace. 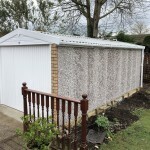 The existing concrete base was cracked so we excavated it and replaced with a new slab.